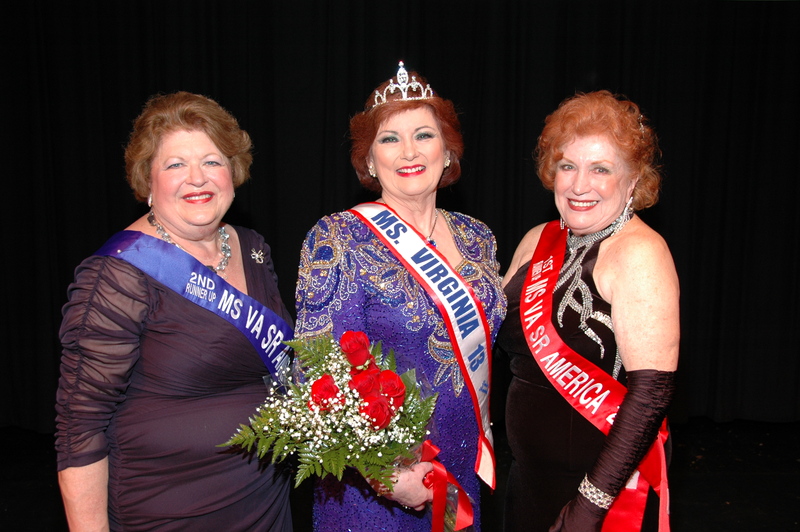 Our newly crowned Ms. Virginia Senior America is also the winner of the Community Service Award! Debbi Miller is a singer, a scholar, a mother, a volunteer, and a world traveler. Because her father was an Air Force career officer, she grew up all over the United States. Now a resident of Fairfax, Debbi is married to Ambassador (ret.) Terry Miller, whose diplomatic career took them to posts in Italy, France, Barbados, New Zealand, and the United Nations. Debbi has undergraduate and graduate degrees in vocal performance (Birmingham-Southern College & the University of Texas), and has also trained privately in New York, Milan, and the Music Academy of the West in Santa Barbara. She earned a Phi Beta Kappa key, and was president of Mortar Board, and president of Sigma Alpha Iota. She was a Presidential Scholar and a National Merit Scholar. 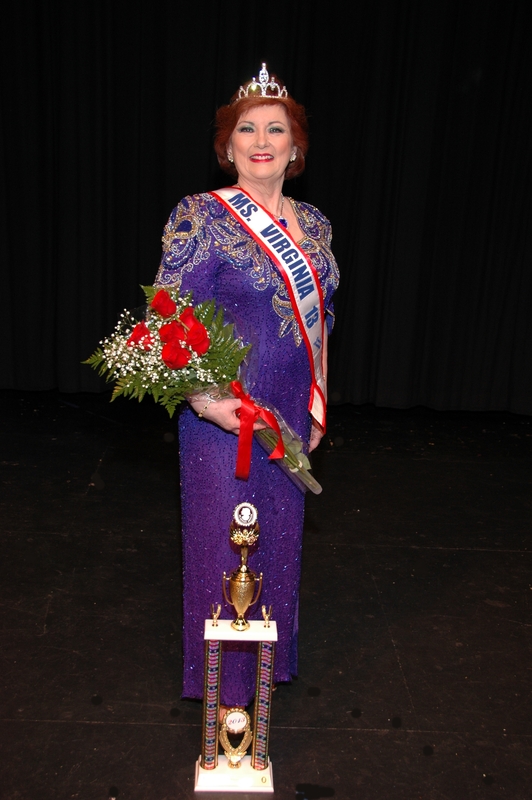 Debbi has been a dedicated community volunteer for many years, in a wide variety of organizations, including Boy Scouts of America, Kings Park West Civic Association, TJHSST Band Boosters, Little League, Neptunes Swim Team, and Fairfax County Public Schools. In recent years her volunteer focus has been with AAFSW (Associates of the American Foreign Service Worldwide), in which she serves as both Membership Chair and Mentoring Chair. Terry and Debbi have three magnificent children, all professional musiciansï¿½a singer/actor, a trumpeter, and a flute/piccolo player, all three of whom also play piano. The whole family joined musical forces this past year to record a very special CD entitled ï¿½Songs for My Father,ï¿½ in honor of Debbiï¿½s fatherï¿½s 90th birthday. When not making music, Debbi loves to work in the garden, read books, practice yoga, and do puzzles.